Flowers make people happy and intrinsically keep us connected with the natural world. 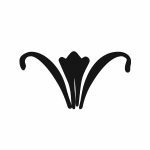 At RWF, we believe that all designers and students of any experience level benefit from every opportunity to design with flowers. There is always something to be learned. In our hands-on classes, you will be introduced to each topic with a demonstration, sharing our approach to flower arranging. You will learn flower care and handling; elements of design; and mechanics and techniques. RWF designers will work with small groups as you create your own arrangement to take home. All materials are provided. Refreshments and light bites will be served. Space is limited to 20 students per session with a minimum of 10. Our classes fill up quickly, so please register promptly! We will take a waiting list and will open another session when there are a minimum of 10 students. Classes may be taken individually. Please note that refunds will only be given when cancellations are received more than 48 hours prior to the date of the class. Follow us on Facebook and Instagram for seasonal flower selections, flower favorites, and upcoming classes and events! These are some of our most popular classes, and fill very quickly. We encourage you to register online today! Learn how to create a taller organic composition with fabulous Dutch tulip varietals, exotic ferns, and curling kiwi vines. We’ll discuss how to utilize their natural shapes to create a unique composition in a striking arrangement of form and color. Students will leave with their finished designs. All materials provided. Join us for a refreshing evening with our first flush of spring flowers. 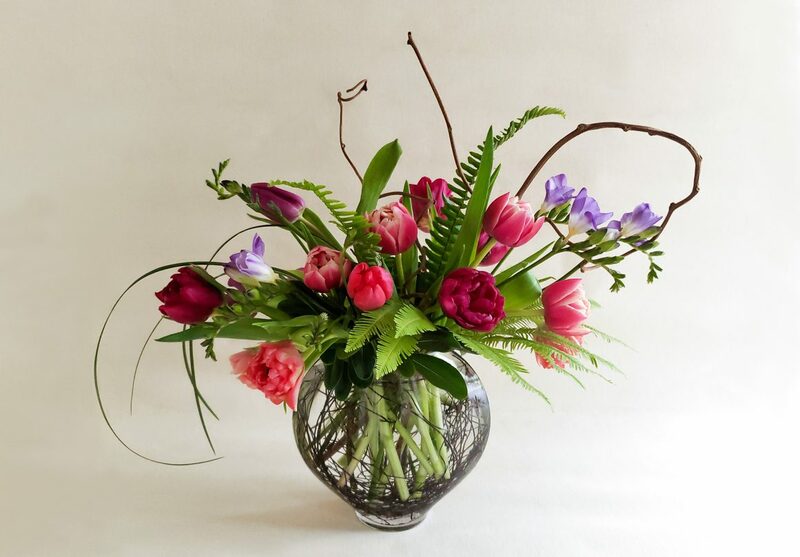 We’ll be designing in a taller flute vase with beautiful bulb flowers coming straight from Holland to our door. Learn about the unique character of each flower variety and how to utilize it in a lovely composition with curly willow stems. Come delight in fresh blooms and go home with your own arrangement. All materials provided. Designing in a low open bowl, we’ll pull our inspiration from the woodland floor for a fresh take on spring. 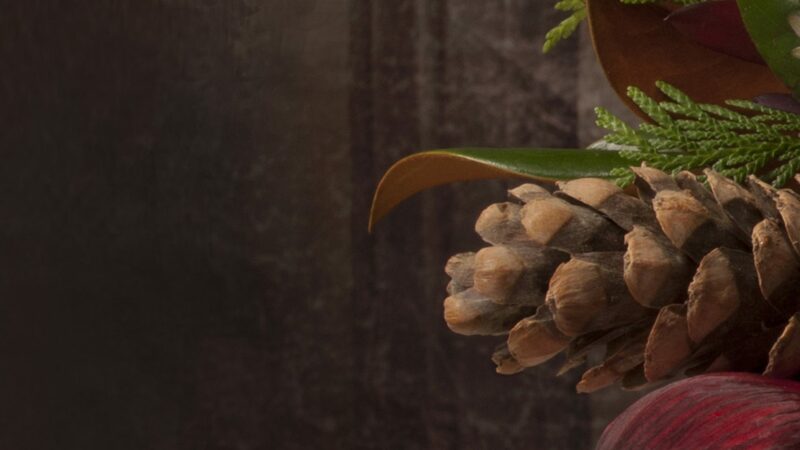 Using wonderful botanicals in unusual forms, you will create your one-of-a-kind piece with stems, foliage, blossoms and berries. Students will leave with their finished designs. All materials provided. You can now register and pay online by selecting "Purchase" beneath each class. You are then assured your place is reserved and paid. If you prefer, you may reach us at 513-531-5590, Monday through Saturday, 8:30 to 5:00. Please have your payment information on hand when you call. Due to the popularity of our classes, we suggest that you register as soon as possible so as not to miss the opportunity!